-How did you start this “beauty journey”? Did you always want to be involved in “beaute”? In 2012 a team of Greek Scientists began farming the Helix Aspersa snail in Greece. The Helix Aspersa snail is reared indoors under precisely controlled and ideal conditions for its development. Strict hygiene conditions are ensured and, along with a special combination of natural foods, the optimal conditions are created which are crucial for the high quality composition of the secretion. 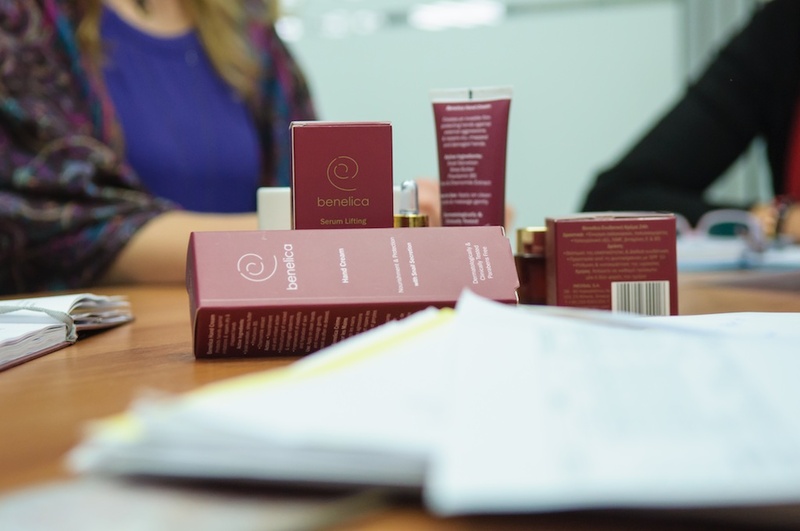 Impressed by the beneficial properties of snail secretion, we decided to expand our business by creating the company Incosal S.A., which manufactures Benelica skin care products. From the starting point, the cultivation of the snail secretion, to the end product, the Benelica series, was a challenging journey for our team. -What makes “Benelica” so different from other brands? 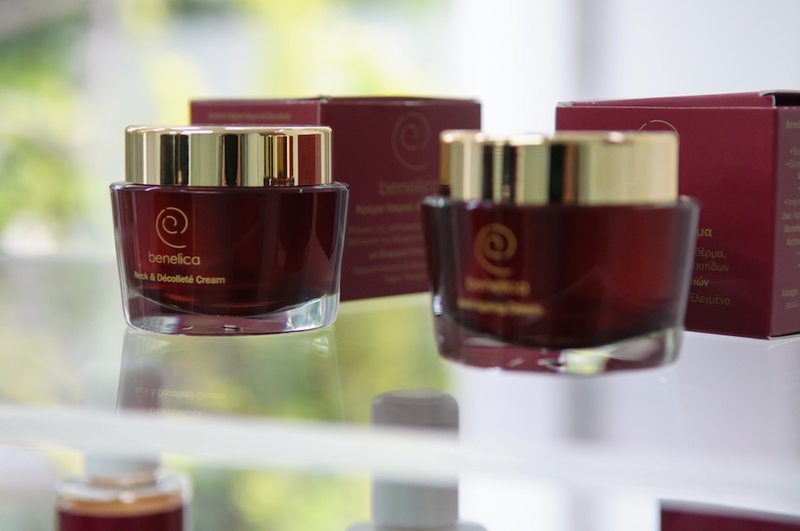 Benelica cosmetics stand out for their uniqueness, because they are based on the unique combination of snail secretion and new generation active ingredients, which won awards in a Cosmetology Congress in Paris in 2013. The innovative method, which is applied for the qualitative and quantitative standardization of the collection of the secretion, is carried out in cooperation with specialized scientists in Universities and Technological Institutes who have the necessary know-how, as well as the technical and scientific equipment required for separation, filtration, cleaning, maintenance and quality control. 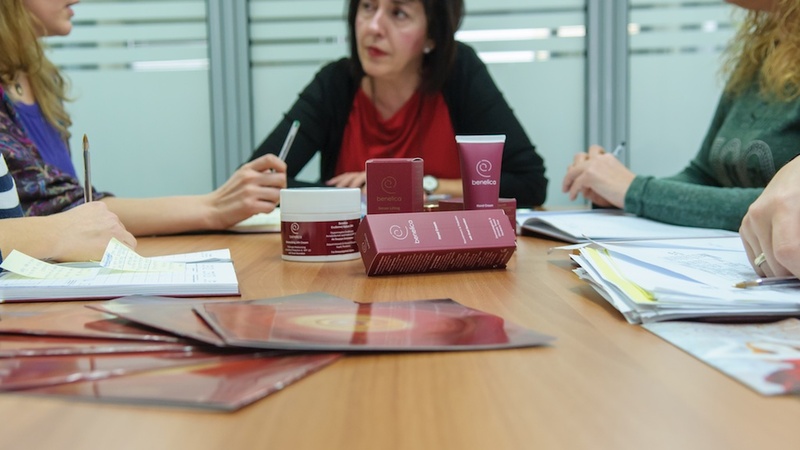 The efficacy of Benelica skin care products is proven by internationally recognized laboratories, by clinical studies and they have been subjected to Clinical and Dermatological Tests for their safety at the Hospital of Venereal and Skin Diseases “A.Syggros”. -Are you optimistic people? Do you think there is a light at the end of the tunnel? We believe that the beauty industry helps to create positive emotions, such as optimism, feelings of well-being and lifts your spirit. Therefore, optimism has become a way of life for us. There is always light at the end of the tunnel, when the product stands out for its uniqueness, its quality and its immediate effectiveness. -In what way Greek land favors snail farming ? Greece is a rich and fertile land. The Greek soil contains many nutrients and minerals. Thanks to these, combined with the special natural food on which the snails feed, the snail secretion contains proteins, allantoin, glycolic acid and antioxidants which are key ingredients in cosmetics. -What are your next business goals? Our business goal is to expand our business by developing other innovative new products which will contribute to the fight against the effects of ageing on the skin and will provide instant rejuvenation and hydration. -Are cosmetics enough to make our days even brighter? Cosmetics are enough to make our days brighter. Cosmetics can give us the care and nurture that we need and they raise our self-confidence. 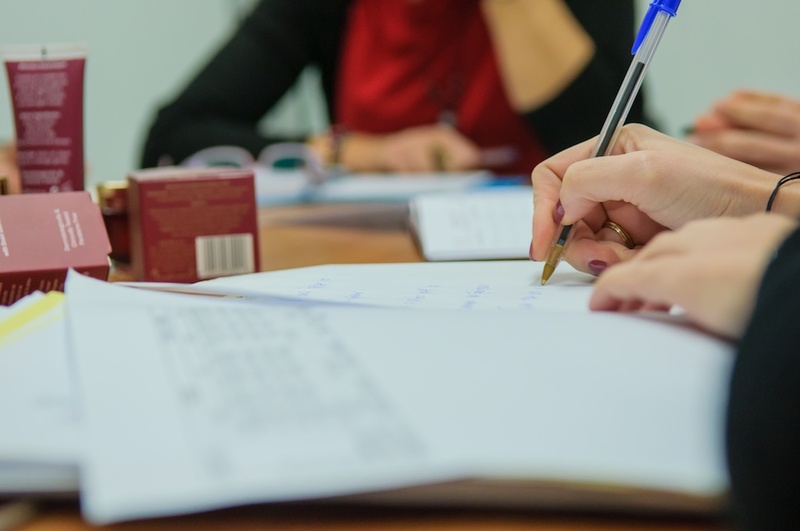 -Why should people choose “Benelica” instead of another brand? 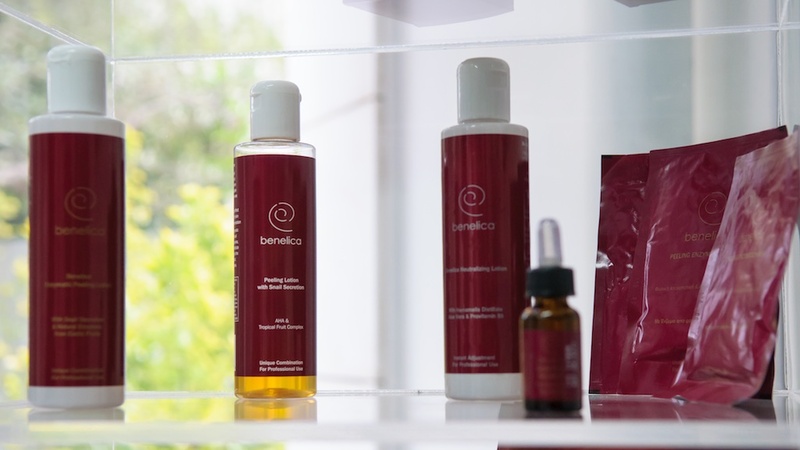 Everyone should choose Benelica because, following proper use of our products for fifteen days, the results are directly visible on the skin. Our skin care products increase collagen and elastin production, increase skin firmness and the density of the skin. They also reduce the volume and the depth of wrinkles, they regenerate the problematic skin as in the case of acne, lesions and scars and also the irritated skin after laser treatment. -What is the secret of your “well-being”? My secret for “well-being” is to offer myself the minimum luxury of taking care of myself by using cosmetics that are distinguished for their quality, their effectiveness and their uniqueness. -Do we really need a lot of vases, bottles and other stuff or we should have only 3-4 basic products? We should have only 3-4 basic products such the 24th moisturizing cream, the serum lifting, the anti-ageing cream, which is suitable for night, and the neck and décolletage cream. -Where can we find those amazing products? You can find our products in selected pharmacies and in Institutes and Spas. For any further information, you can contact Incosal Company at 0030 210 6101101-7.